(AFP) - The United Nations on Monday urged the Democratic Republic of Congo's new President Felix Tshisekedi to quickly form a new government, warning that voters had "huge expectations" from the leadership change and should not be let down. Tshisekedi's party is working to cobble together a coalition government with the party of former president Joseph Kabila, which won a majority of seats in parliamentary elections. "We hope that the new government will soon be formed and operational," UN envoy Leila Zerrougui told the Security Council. "The Congolese people's expectations are huge and it is crucial that they not be left waiting for too long, or be disappointed," she warned. Tshisekedi was declared the winner of a presidential election that turned the page on Kabila's nearly two decades in power in Kinshasa. 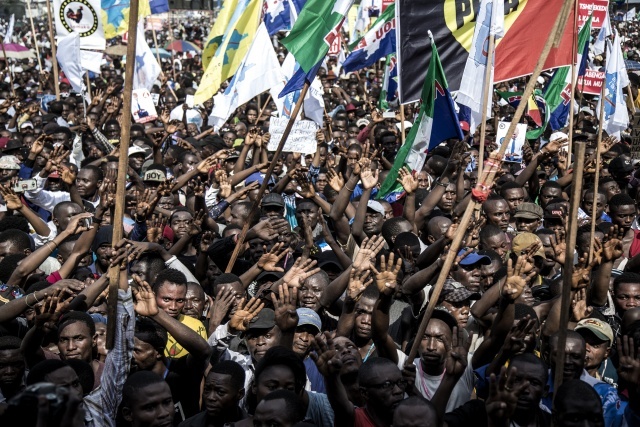 The election result, which marked the first peaceful handover of power since the DR Congo's independence from Belgium in 1960, has been greeted with cautious optimism. The formation of the new government is being closely watched for signs that Kabila will continue to hold sway in the nation's politics if many top cabinet posts are filled by his supporters. The two camps have yet to agree on the appointment of a prime minister. The council is weighing a recommendation from Secretary-General Antonio Guterres to draw down the large 16,000-strong peacekeeping mission in the DR Congo, known as MONUSCO. Guterres has proposed cutting 1,600 troops, 35 police officers and one formed police unit (about 140 police) along with a 30 percent reduction in the number of military observers. The council is scheduled to vote on the MONUSCO mandate next week.